Every year Sri Lankans commemorate the soldiers who died during the Sri Lankan Civil War, lasting for almost 30 years. This observance is known as Remembrance Day. Previously Sri Lankans annually celebrated Victory Day on May 18. 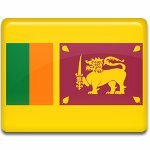 This public holiday was established in 2009 to celebrate the ending anniversary of the civil war in Sri Lanka. Victory Day had been celebrated only for four times. In 2015 President Maithripala Sirisena renamed the holiday to Remembrance Day, that is now observed on May 19. Remembrance Day was created as a special commemoration day for all war heroes and civilians, who died during the civil war. Annually the government of Sri Lanka organizes a grand military parade and top officials deliver solemn speeches, that are followed by a moment of silence. There is also another observance in Sri Lanka, commemorating Tamil people, who died during the civil war in Sri Lanka. This observance is held on May 18 and it's known as Mullivaikkal Remembrance Day, or Mullivaikkal Day. This Remembrance Day is recognized only by Tamil people, while the government of Sri Lanka banns it and tightens security.